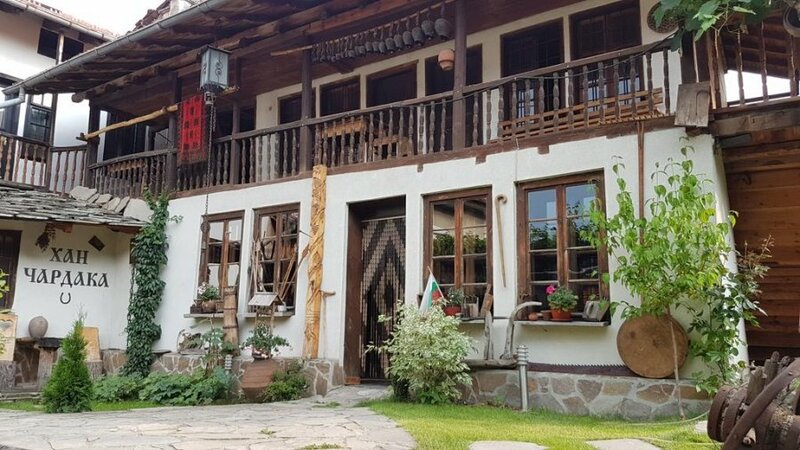 Guest House Han Chardaka offers rooms in Dobrinishte(Bansko is 6 km from the accommodation). Among the various facilities of this property are a garden and a terrace. Rooms are fitted with a patio with views of the mountain. All guest rooms at the guest house are fitted with a seating area, a flat-screen TV with satellite channels, WI- FI and a private bathroom with free toiletries and a shower. A continental breakfast is available each morning at Guest House Han Chardaka. The price per person for one night stand is 18.00lv.